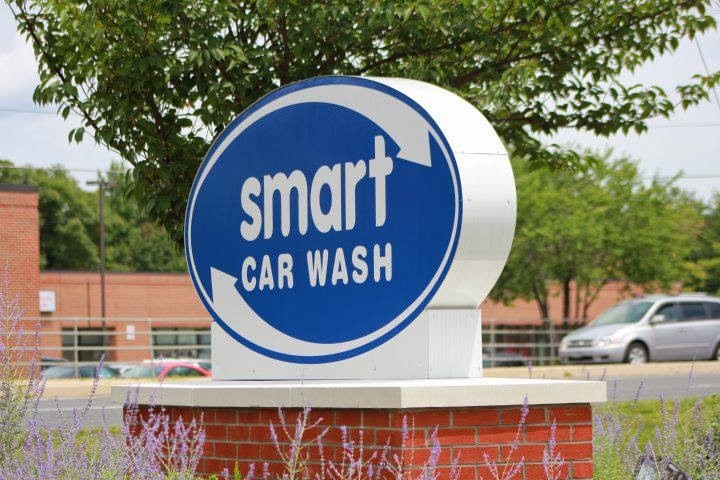 One of our newest sponsors, The Smart Car Wash has an awesome giveaway this week for a $50 gift card for services of your choice! Whether you use this to clean up your own car (and we all know that mommy cars are a mess, let’s be honest) or save it for the special guy in your life as an awesome gift, this is definitely one giveaway we could all use!! Located at 13589 Minnieville Road in Woodbridge (behind the Dunkin Donuts right before/after Lowes depending on your direction! 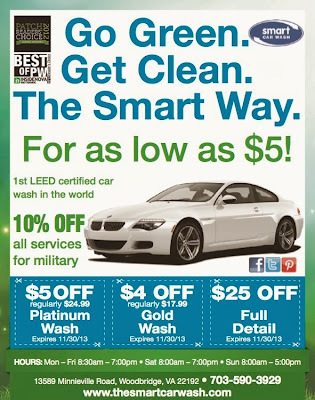 ), The Smart Car Wash is the World’s first LEED certified wash- meaning that you’re being eco friendly AND cleaning your car! You can learn more about their commitment to being eco-friendly on their website. The Smart Wash offers both exterior-only washes, full service washes, and detailing packages. Exterior only washes start at just $10, but right now, they’re running a $5 wash promotion through the end of November. If you want to upgrade, they’re running a few coupon specials, too! Definitely check out The Smart Car Wash in Woodbridge for an eco-friendly car wash!! Want to enter to win our $50 Gift Card Giveaway? Use the Rafflecopter Below! As always, prize is provided by post sponsor, in this case, The Smart Car Wash. Please refer to their materials for any liability/release. PwcMoms is not responsible for services provided. Apple/Google Play/Facebook/Twitter are not affiliated with this giveaway. For our full contest rules, which you agree to by entering, please click HERE. The Smart Car Wash is a paying sponsor of PwcMoms.com.